The legendary Dwarven Defenders represent the supreme Dwarven Warrior. They are the elite of Dwarven society and are held in the same regard as Paladins in other lands. They serve as the nobles, the landed gentry, and are the protectors of Dwarven society as a whole. It is through their hearts that the blood of the whole of the Dwarven race beats. While a great many Defenders are operate alone, lending their skills at defense to whatever cause they feel is appropriate, it is not the norm. The Dwarven Defenders began as a small elite cadre referred to as "The Defenders of Blacksilver." Their research into better ways of protecting hearth and home made them the finest protection unit, renowned for their ability to turn aside blows that would skewer lesser warriors and then retaliate in kind. As time passed, the training techniques were perfected and the Defenders of Blacksilver were able to open up their training halls to more and more Dwarves that showed the requisite skills to become one of the very best. The name was changed to a more general "Dwarven Defender" as the ranks swelled to indicate the move from a small rigid protection unit, to a training system that allowed for Dwarves of all walks to choose whatever path they were drawn too protecting whatever and wherever Dwarven Society needs them. Regardless of the move away from an extremely small unit to a still selective but broader training focus, the basic mantra of the Dwarven Defender has remained unchanged. In battle, they are known to chant the Dwarven Defender motto: "None but Dwarven Hearts Shall pass!" To this day, the main training center for the Dwarven Defenders is in Blacksilver. However, the Blacksilver training center has sanctioned training locations throughout Dwarven society, and every clan of large size typically has the means to operate its own training facility to keep its need for Defenders filled. These satellite training centers are reviewed for their curriculum twice annually, and bi-annually competitions are held where the best Defenders get together and test their skills. Winning these tournaments can mean an influx of Dwarven trainees from outside the clan and therefore a good source of income, prestige, and clan honor. It is not unusual for a Defender to learn his art from an unaffiliated but established Defender, but it is fairly rare. Dwarves in general terms are societal in nature and prefer to be part of the large groups, but as with any race their are always exceptions. WHile the skills required to be a defender can be taught on a 1 on 1 basis, Dwarven Defenders are trained to operate just as effectively in groups as they are by themselves. Lacking a group of trainees to stand on line with severely hampers the training and usually adds years to the process. 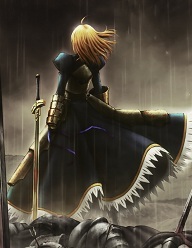 Proficiencies: Simple and Martial Weapons; Light, Medium and Heavy Armor proficiency; Shields.